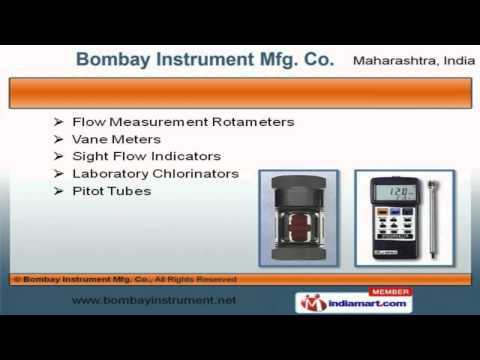 Welcome to Bombay Instrument Manufacturing Company, Manufacturer and Exporter of Industrial Measuring Instruments. The company was established in 1994 at Mumbai. We have spread our wings to US, UK, Malaysia, Thailand and other countries. We serve to Chemical, Medical, Pharmaceutical and other industries. We offer a wide assortment of Level Indicators, Air Velocity Measuring Kits and Oil Flow Meters. We are highly instrumental in presenting a wide spectrum of Velocity Meters, Flow Switches and Scientific Level Transmitters. Our Flow Measurement Rotameters and Laboratory Chlorinators are well known for their outstanding performance. Our clients can avail from us an exquisite range of Level Gauges, Level Controllers and Pressure Gauges that are cost effective. We are offering a top notch quality range of Temperature Indicators, Thermo Couples and Laboratory Equipment. We have expertise in offering Venturi Tubes and Fuel Oil Flow Sensor for Power Plants.